This St. Patrick’s Day, our Chicago Village was made a little bit greener — and more fragrant, too! 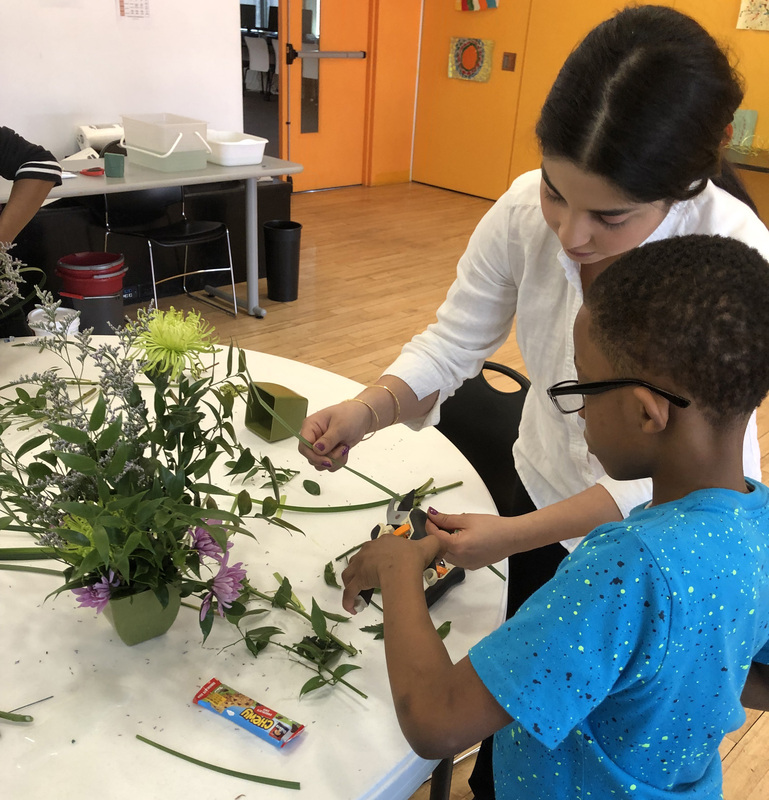 Longtime SOS Children’s Villages Illinois Board Member, Laurie Holmes, and SOS Illinois Associate Board Member, Sumaya Noush, brought the love of floral arrangement and jewelry making to our Foster Parents and children in foster care through an interactive class and workshop. 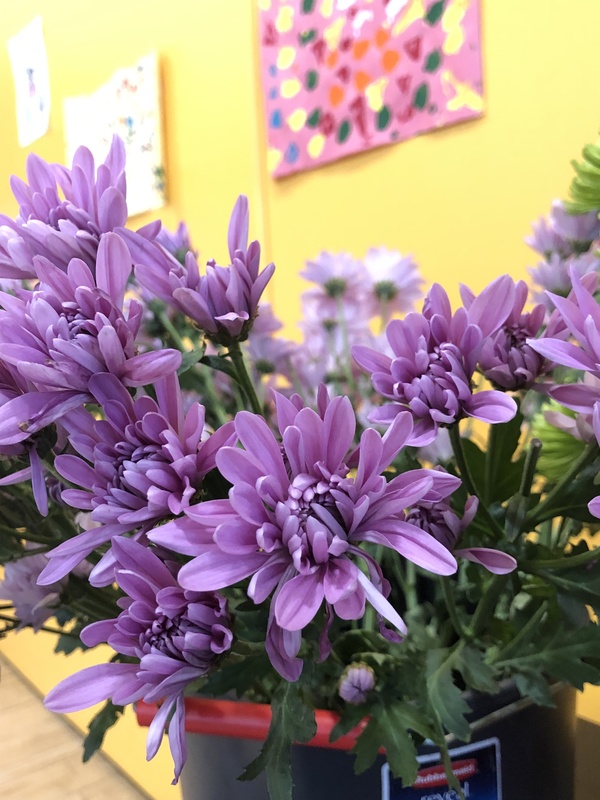 Surrounded by orchids, mums, and other colorful plant life, youth and Foster Parents at SOS Illinois learned all the vital steps of creating a beautiful, long-lasting floral piece to make any room a little bit more colorful. In addition, each participant used wire, flowers, and leaves to create unique necklaces to wear this spring or give as a gift. 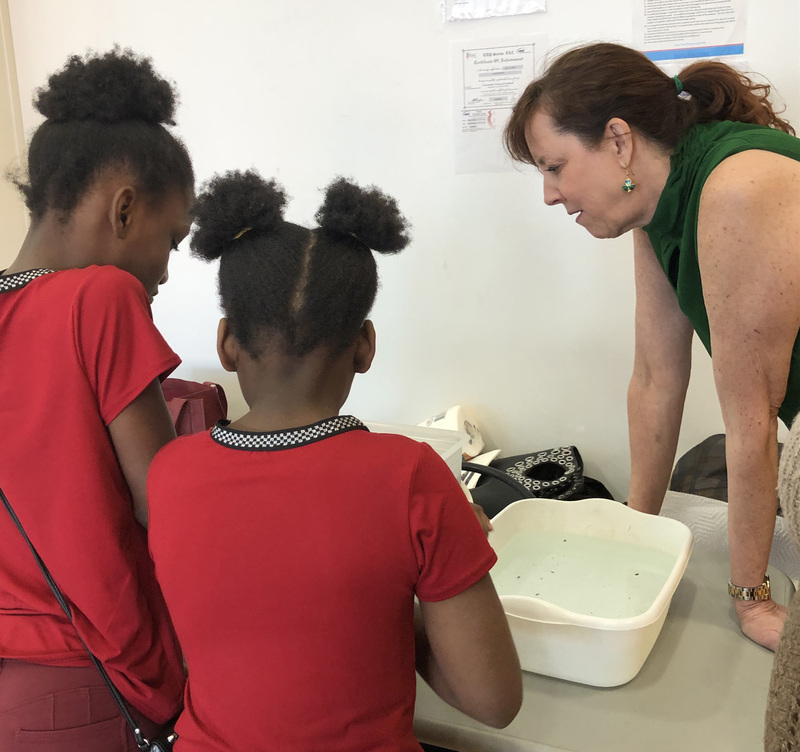 Laurie started the workshop by teaching the class about soaking oasis floral foam — a special material used to keep arrangements in place and hydrated — in a mixture of water and floral vitamins. After setting the oasis foam in place, Laurie walked the class through the process of creating an attractive final piece. 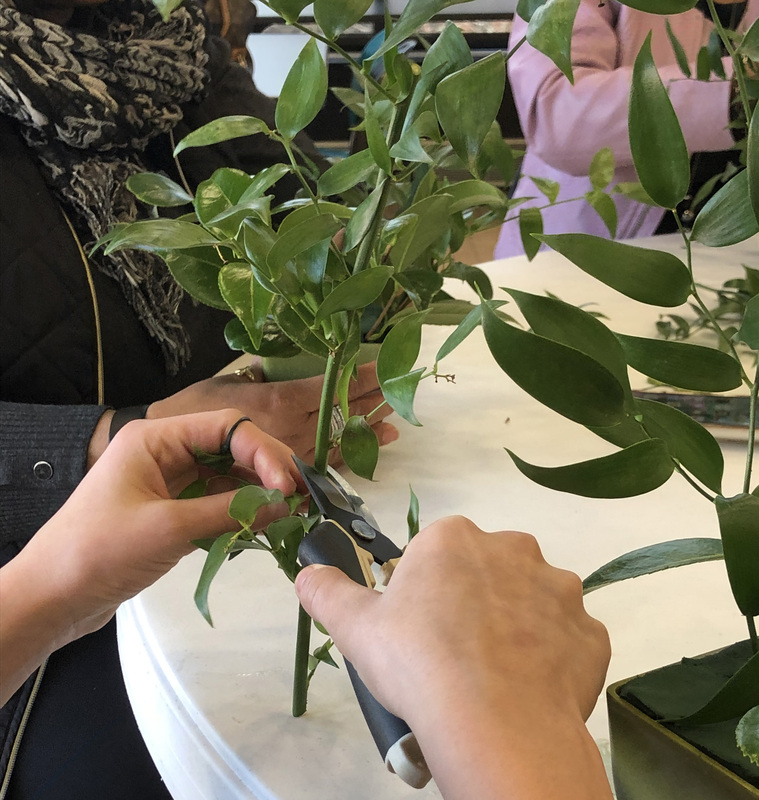 Each participant started with filling their vase with an assortment of greenery (Italian ruscus, lily grass, and camellia leaves), before intentionally placing a selection of bright flowers in the center. Participants then learned about including limonium as filler flowers to create balance and fullness in their arrangements, before including a glittery shamrock decoration at the base of their vases. The final pieces were perfect for celebrating St. Patrick’s Day and welcoming the coming of spring. 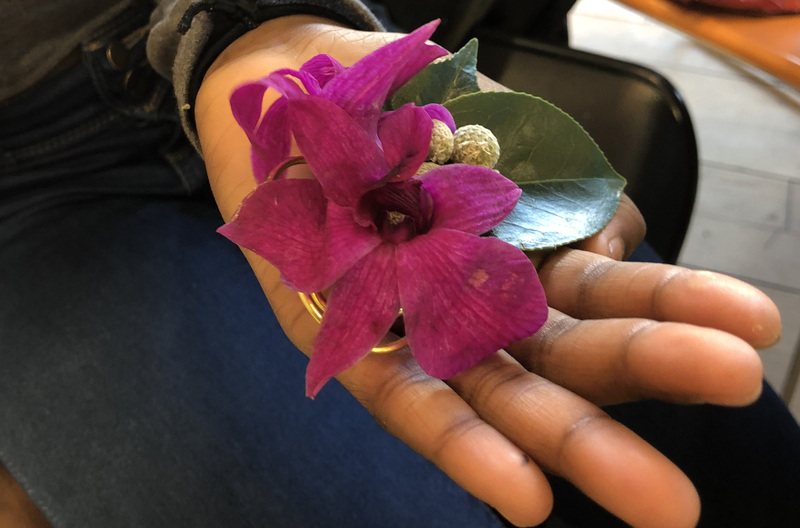 Once everyone was satisfied with their arrangements, Laurie went on to teach the class about floral jewelry making using bright green wire, special floral glue, and an assortment of floral decorations, such as greenery leaves, orchids, and other plant life. Each participant from SOS Illinois created twisted wire pendants adorned with the various floral pieces, which they then strung onto wire necklaces to be worn. The youth giggled with pride as they put on their finished pieces or made plans to gift them to a special person. Foster Parents enjoyed the opportunity to work creatively with their hands, as well as creating an attractive arrangement to lovingly display in their SOS Illinois Village homes. The afternoon would not have been a success without the patient and thoughtful assistance of Sumaya, who worked lovingly with the children in our care to create their masterpieces. As a member of our Associate Board, Sumaya is no stranger to working alongside our youth and families at various events and programs throughout the year. Laurie Holmes first developed an appreciation for the art of floral design from her mother, who took floral arranging classes. With her interest sparked, Laurie took an in-person class and quickly learned that she wanted to deepen her skills in floral design. She began learning more through patiently watching a YouTube series, eventually leading to her enrolling in an online floral design course. 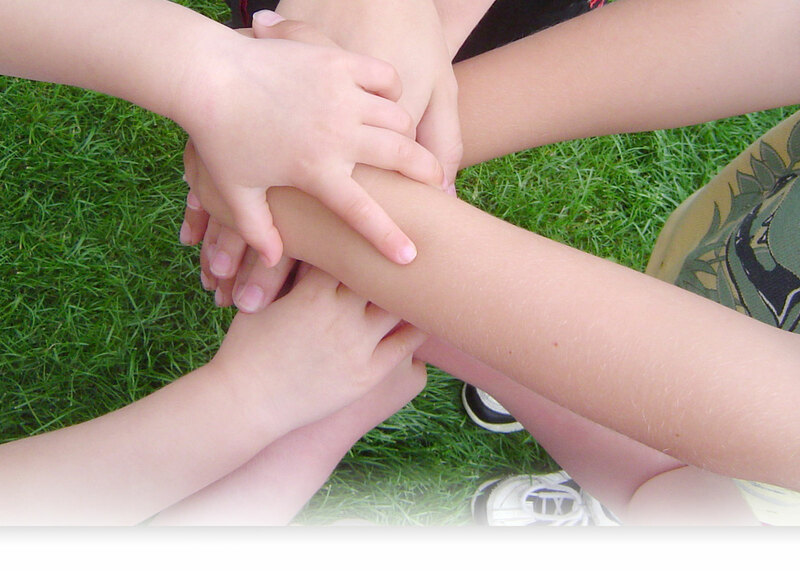 Laurie is finishing the class shortly and will receive a certificate of completion at its conclusion. When she isn’t creating beautiful arrangements, Laurie is a legal partner at Drinker Biddle & Reath, and has served as a member of our Board of Directors for fifteen years, offering her expertise in areas of employment litigation and counseling, as well as institutional knowledge of SOS Illinois. We are thankful for the many gifts and talents Laurie offers our community, and cannot wait to put our floral design skills to work this spring!